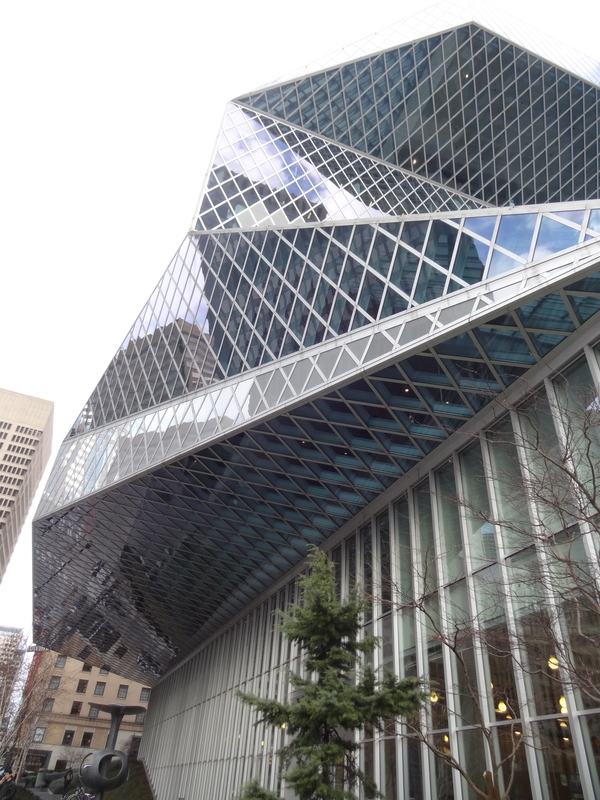 Seattle’s Central Library has been controversial since the design idea went public. Or so I’ve been told by native Seattleites and folks who transplanted here earlier than myself – I didn’t move to Seattle until 2006 but the building has been open since 2004. I’m not going to dive too deep into the controversy in this post – just realize I’m going to give you my perspective on the building, which is overall positive. If you want to gripe about the design and usability, and disagree with my opinion, you can leave a dissenting post in the comments section and I’ll ignore it. 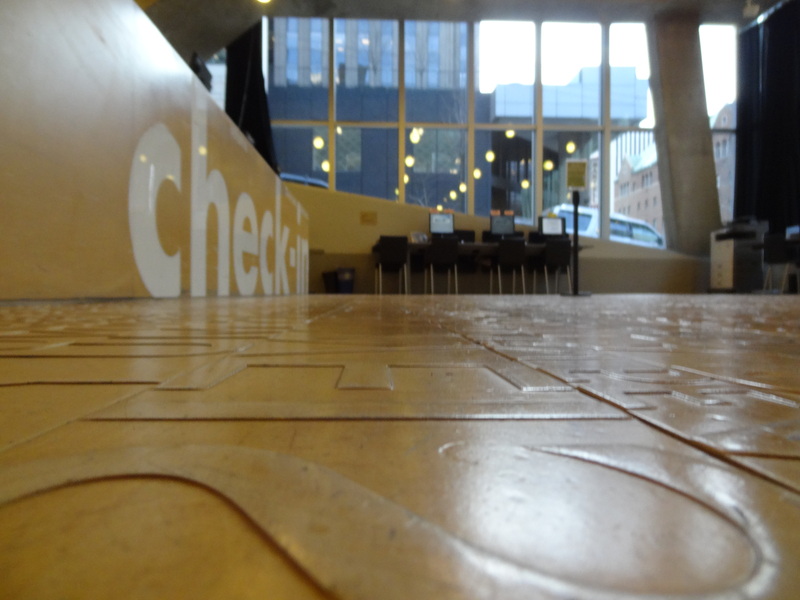 Or you can go to the Central Library and quietly, slyly ask the staff manning the desks what they think. There’s a slight chance they may agree with your interpretations and maybe an even slighter chance they’ll share with you their true feelings about the space they work in. The Central Library is architecturally stunning – again, that’s what I’ve been told but I’ve never studied architecture and really have no idea, so I can’t confidently back up that statement. What I do know, is that it is certainly a unique building, a glass and steel structure that spans a full city block in the middle of downtown Seattle, consisting of many odd angles and shapes. Whether folks like the design or not, I can attest to the fact that it is a heavily used public resource, in a way that effectively matches how I feel an urban public library should be used. Homeless and vagabonds spend their days in a safe, climate controlled environment. Aspiring writers and artists seek inspiration or a quiet workspace where they can explore their own creativity. Business people who work in the surrounding financial district stop in to pick up items they’ve requested while on their lunch hour. Suburban-flighters who’ve moved closer to live near the city’s core and now have an apartment or condo in one of the many residential buildings downtown or one of the surrounding neighborhoods like Belltown, Pioneer Square or Capitol and First Hills – stop in to browse books for their children or to help themselves pursue their own interests or pick up a DVD or CD to make their evening and weekend more enjoyable. In front of you is the large, main circulation desk. It’s where you check out your materials, return them and pay your fines. The book return is a conveyor belt right in the middle of the long desk, encased in see-through plastic that leads up into the ceiling to the Library’s Automated Materials Handling System, which is located on a staff-only 2nd floor and sorts the books, CDs and DVDs to either be re-shelved at this location or sent to one of the 26 other branches. Behind the circulation desk is the self-pickup holds area where you pick up items you’ve requested online after you receive an email letting you know they’re waiting for you. Past all of that is the Library’s foreign language materials and the LEAP(Library Equal Access Program) Lab which houses all sorts of specialized equipment that help folks with disabilities access resources. Also on the 1st floor is the entrance to the auditorium which seats about 375 people and hosts author readings, music previews and has even simulcast Seahawks playoff games. Completing the 1st floor is the massive Children’s Room that houses kid’s books and media as well as a large space for Storytimes and other children-specific programming. 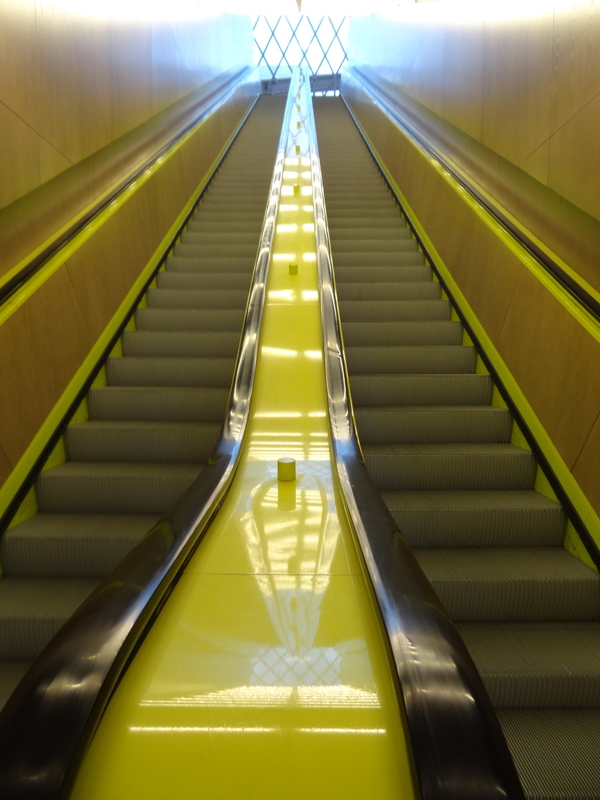 A long, steep escalator takes you from the 1st floor up to the 3rd. Note to visitors; if you’re using a walker, go ahead and take the elevator instead of braving the moving stairs. I’ve witnessed an elderly woman fall while trying to take them up with her walker, stuck in an endless loop of tumbling until the escalator’s emergency shut-off button was pushed. Also of note; if you’re reading this blog you’re probably not using a walker, but c’mon, it was a good way to get in that weird little story, right? I love this library. I look forward to the continuation of your review. 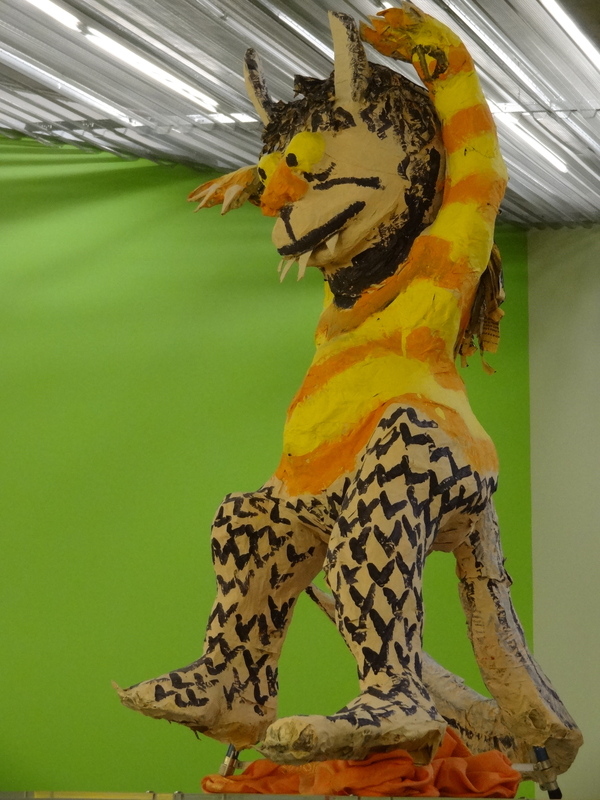 Just in case you didn’t know, George Tsutakawa’s sculpture was preserved from the previous Central Library, also at this location.